When a Kentucky farmer faces financial ruin, he reluctantly sells his slaves, and Uncle Tom finds himself the property of a cruel plantation owner, fighting for his freedom and ultimately, for his right to live. With a rich narrative and wonderfully realised characters, this is a panoramic, incredibly accomplished work. 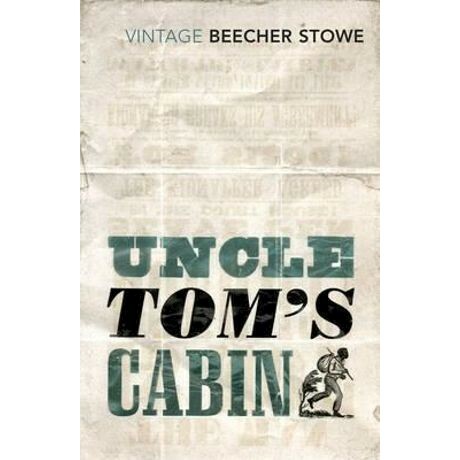 Originally published to much acclaim in 1852, it quickly established Harriet Beecher Stowe as one of America's most influential female novelists and was crucial in helping to secure the abolition of slavery. .
Harriet Beecher Stowe was born in 1811, one of ten children of famous minister Lyman Beecher. She moved to Ohio in 1832 and was introduced to the slavery debates, marrying the professor and staunch abolitionist Calvin Stowe with whom she had seven children. In 1850 the Fugitive Slave Law was passed, punishing anyone who offered runaway slaves food or shelter - she drew on her anger from this to write Uncle Tom's Cabin, which first appeared in an abolitionist newspaper and was then published in book form. It was an immediate bestseller, selling ten thousand copies in its first week of publication and going on to become the second biggest bestseller of the nineteenth century after the Bible. It was hugely influential in the abolition debate, and catapulted Stowe into the spotlight. When President Abraham Lincolm met her he is reported to have described her as 'the little woman who wrote the book that started this Great War'. Over the course of her long career she wrote over thirty books and essays, poems and articles. She died in 1896.